The interview in the magazine: "Crafts Without Borders"! 10 years BeColourful obviously can't pass unnoticed. 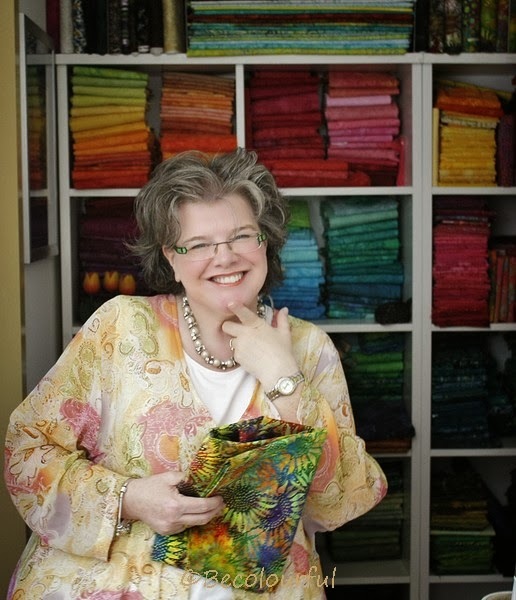 What is "Crafts Without Borders"? "Crafts Without Borders" is a magazine* with a circulation of 9,000 copies and appears 6 times a year with articles on craft techniques where the textile predominates. The subjects can be from the Netherlands, the countries around us, but also worldwide. Tradition and history are the key. Objects and practices of earlier times can be very interesting sources for creating new contemporary textile crafts. At 11.00 the interviewer Monique came to my house and started the two and a half hour conversation about 10 years BeColourful. 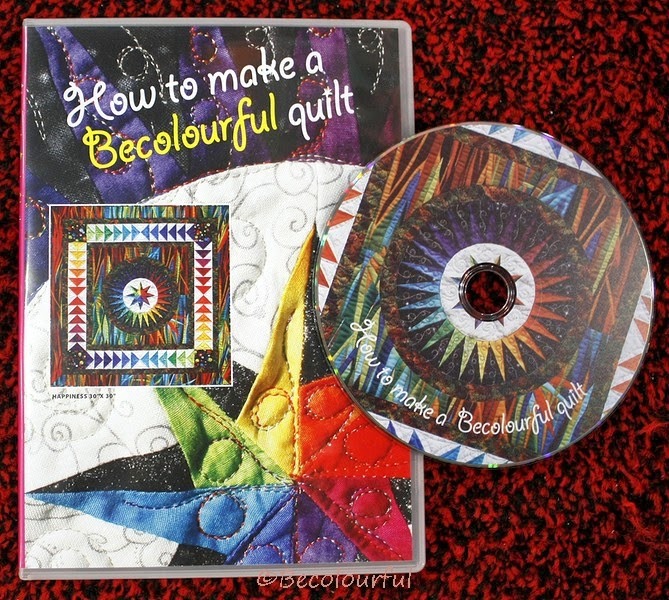 In those 10 years, a lot happened with BeColourful. 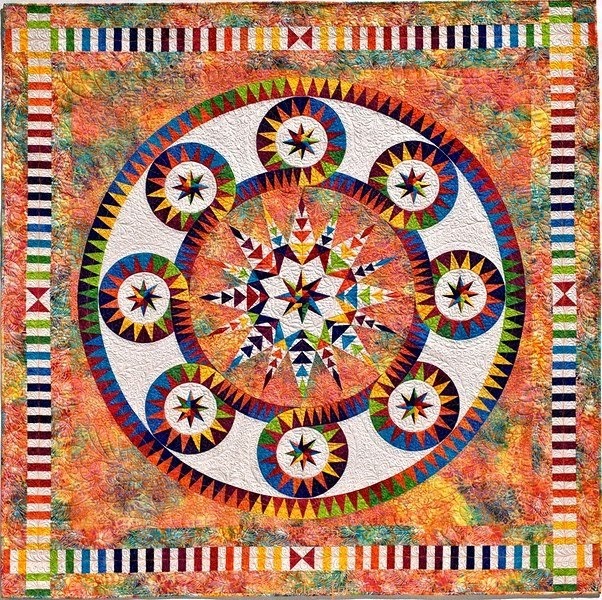 In 2004, I was an unknown designer who placed her very hesitant steps into the quilting industry. 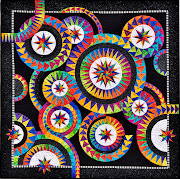 I turned out to be the well-known quilter who I am now, teaching worldwide, belong in the top 5 of quilt designers in the world, had exhibitions around the world. 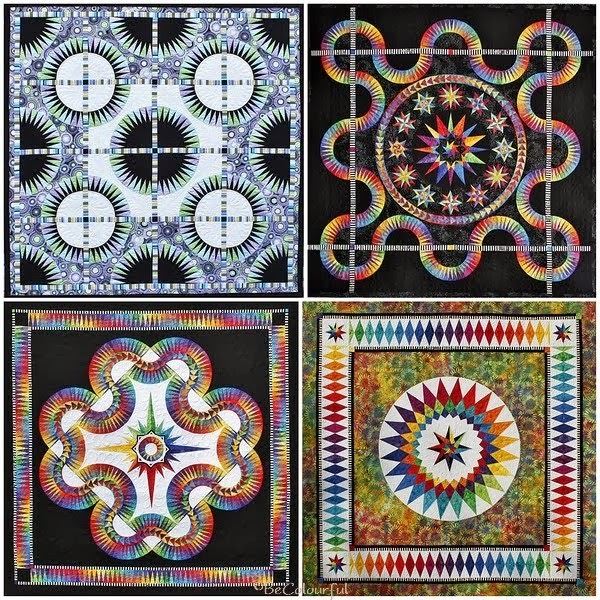 I've had some great interviews and featured the covers of international magazines with my contemporary and colorful quilts. 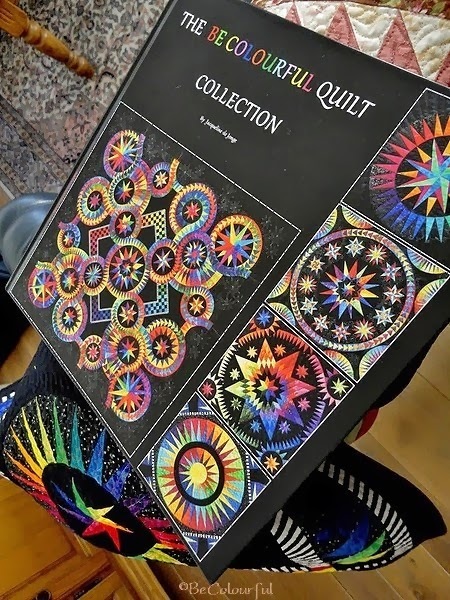 The BeColourful "coffee table book", which the American Quilters Society will be publishing this year and of course the request that we've got to get the Chinese quilt industry started. How great is that! 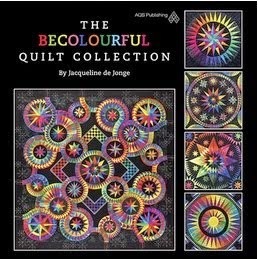 * In Dutch, the magazine is called: "Handwerken zonder Grenzen"
En prachtige kleurrijke quilts met mooie designs zoals we van jou gewend zijn! Keep up the colourful work! Looks like there are some wonderful new things to look forward to! I can't wait! congratulations! Can't wait for that book!! Let us know when it's out for sale, I sure would like to have me a copy! The finishing touches of "Wheel of Fortune"